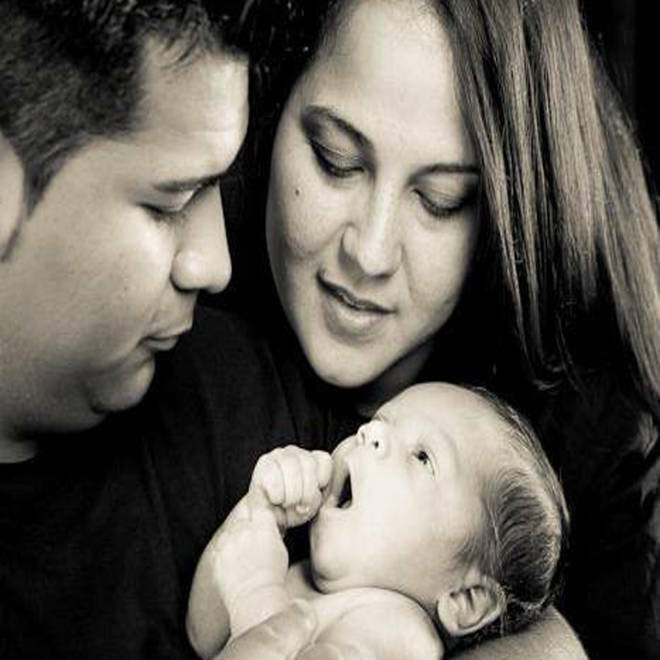 Erick and Marlise Munoz hold their son, Mateo. The judge overseeing a lawsuit seeking to force a Texas hospital to remove a brain-dead pregnant woman from life support abruptly recused herself from the case Thursday. In a one-paragraph order issued without explanation late in the afternoon, Tarrant County District Judge Melody Wilkinson removed herself from the nationally watched case of Marlise Munoz, the 33-year-old Fort Worth paramedic whose husband has sued to have her taken off of life support. Marlise Munoz was 14 weeks pregnant when she collapsed in November from what doctors believe was a pulmonary embolism. Her husband, Erick Munoz, has said that doctors have described her as brain-dead and that his wife was clear that she wouldn't want to be kept alive. Erick Munoz on Tuesday sued John Peter Smith Hospital of Fort Worth, which responded that it was barred by state law from removing a pregnant patient from life support. If the report is true, the man's dual role could be seen as a conflict of interest for the judge. Campaign finance records on file with the state Ethics Commission list Neal W. Adams, of an address in Grapevine, as Wilkinson's campaign treasurer. Records on file with the state attorney general's office list Neal W. Adams, of a law firm at the same Grapevine address, as general counsel to the Tarrant County Hospital District, the title under which JPS does official business as a publicly funded entity. Wilkinson's recusal emerged after office hours at Adams' law firm, which didn't answer calls seeking comment. A spokeswoman for the Tarrant County District Attorney's Office said she couldn't comment.